This resource examines some of the ways in which Anthony Burgess thought about and wrote about one of his greatest inspirations. Do I show off? Does Shakespeare show off? Anthony Burgess, was not shy of comparisons with the great playwright he so admired. In several of his works, he sought out and even invented links between himself and William Shakespeare or, as he would have it, between the Shakespeare of Manchester and the burgess of Stratford. With an often striking disregard for evidence but a keen eye for fictional affinities, Burgess found parallels in accent, sexual desire and minor ailments as well as an ancestral link with one of Shakespeare’s troupe of actors. Burgess’s name allowed him to claim a tenuous, oft-repeated and almost certainly imagined connection with Shakespeare. Jack Wilson was one of the company of players to which Shakespeare belonged, the Lord Chamberlain’s Men. (Jack being what Oscar Wilde’s Gwendolen would call dismissively ‘a notorious domesticity for John’.) Through some mistake of printing or transcription, Jack Wilson’s real name is inserted into the First Folio’s version of Much Ado About Nothing rather than that of his character, Balthazar. A stage direction in the second act reads, ‘Enter Prince, Leonato and Jacke Wilson’. Somehow, to Burgess’s advantage, Wilson’s strikingly English name escaped the notice of the printers of this Sicilian comedy. Burgess was still known as John Wilson when a student at Manchester University and published his guide to English literature under the name of John Burgess Wilson. By 1993 when he published his fictional version of Christopher Marlowe’s life, A Dead Man in Deptford, he was firmly established as Anthony Burgess but the name, and therefore the historical link to Shakespeare, had not deserted him. He reveals in the book’s closing pages that Jack Wilson has been the narrator of the novel all along. ‘My own name you will find, if you care to look, in the folio of Black Will’s plays, put out by his friends, Heming and Condell in 1623. In the comedy of Much Ado About Nothing, by some inadvertency, I enter with Leonato and others under my own identity and not, as it should be, the guise of Balthasar to sing to ladies that they sigh no more’. Burgess’s biographer, Andrew Biswell, suggests that ‘his anxiousness to claim grand ancestors might profitably be compared with Shakespeare’s own attempts to acquire the trappings of gentility.’ This was an anxiety of which Burgess was himself aware. The turn of phrase in his autobiography – ‘I have always wished to believe that the Jacke Wilson of the Lord Chamberlain’s Men was one of the family’ – makes it clear that his assertion of the link between them is the expression of desire rather than of fact. And in a lecture to American students, Burgess was refreshingly honest about the motivation behind his craft. ‘Shakespeare wrote plays to make money, to become a gentleman; I write novels to the same end.’ Biswell recounts Burgess’s reflection on travelling first class to Singapore in 1954, ‘For the first time in my life, I became a gentleman’. A travel upgrade was to Burgess what the acquisition of a coat of arms was to Shakespeare. That first class ticket would have seemed an unlikely dream for the boy brought up in the tougher suburbs of inter-war Manchester. But Burgess’s hometown – the accents and dialects of which he was expert in – provided him with another link to Shakespeare. In his American lecture he recites the First Player’s speech from Hamlet in the accent he deduces would have been Shakespeare’s. It is – as he describes – a mixture of modern American, Dublin and Lancashire. He insists that his own native vowel sounds were present in Shakespeare’s ‘voice’. 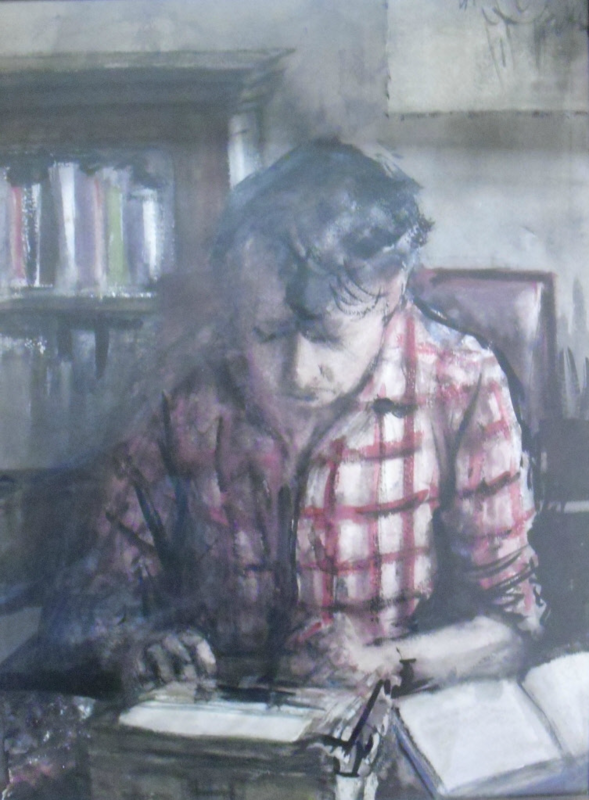 Bewailing the difficulties of impressing employers in the first part of the twentieth century when your vowels are flat, Burgess says that ‘history cut no ice when my generation sought jobs outside the native province’. This seemed doubly unfair to him when ‘Shakespeare pronounced ‘love’ like a Lancastrian’. When challenged by a student to justify his conclusions about the Elizabethan Midlands accent, Burgess says, rather vaguely, ‘you’ll have to take it on trust for the moment’. But it is clear that careful work went into his linguistic analysis as evidenced by the short chapter on Shakespeare in his study of ‘Language and Languages, Especially English’ , A Mouthful of Air. David Crystal – a leading linguist who has published several books on Shakespeare’s language and coached Globe actors in the ‘Original Pronunciation’ of the plays – visited the Anthony Burgess Foundation in 2013 and listened to a recording of Burgess reading Shakespeare. He felt that Burgess was about eighty percent accurate. Burgess may have gone looking for the Lancastrian in Shakespeare but it seems it was there to be found. It is possible therefore that (at least before Burgess’s own accent was modulated to the RP we hear in other recordings) Burgess and Shakespeare pronounced ‘love’ in the same way. The objects of their lust also bore a marked similarity. In As You Like It, Phoebe is deeply offended by Rosalind-as-Ganymede criticising her hair and eyes for being black. In Sonnet 127 we are told that ‘in the old age black was not counted fair’. But Burgess would have it that both he and Shakespeare found black very fair indeed. In his autobiography, Burgess says that ‘for me the feminine ideal has always been Mediterranean. I understand very well the desperation that Shakespeare felt for the dark lady’. Burgess’s use of ‘Mediterranean’ seems imprecise if not geographically inaccurate as he goes on to discuss his obsession with dark-skinned women: ‘I had sexual encounters with Tamil women blacker than Africans’. And in his ‘story of Shakespeare’s love life’, Nothing Like The Sun, he is clear that Shakespeare’s dark lady was not simply a sultry brunette. When WS, as he is named in the novel, asks his love to teach him a phrase in her own language, she offers him the farewell, ‘Slammat jalan’. The Dark Lady is therefore identified as being from Malaysia, a country of which Burgess claimed he had enough sexual knowledge to assert that ‘a Malay female body, musky, shapely, golden-brown, was always a delight’. 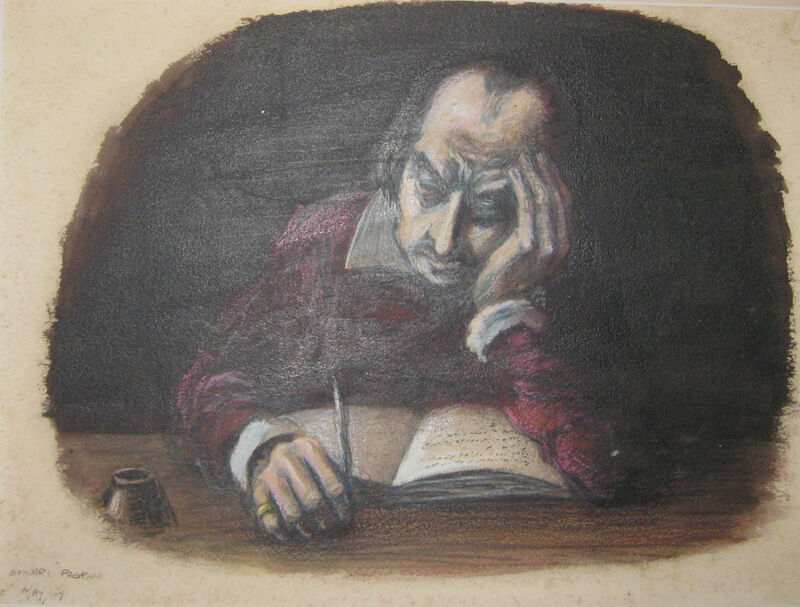 Burgess peers into the life and works of Shakespeare seeking connections with his own. He hopes to see Shakespeare in his own reflection, as Enderby does in Enderby’s Dark Lady. Where many writers would seek inspiration for their work from Shakespeare’s plays, Burgess rather makes assumptions about Shakespeare’s life by examining his own. His conclusions are sometimes spurious but always interesting. He often starts on shaky ground (as even with his clever word play on the Shakespeare of Manchester and the burgess of Stratford – it was Shakespeare’s father who held that municipal title among others not Shakespeare himself) but then carries readers along in the sheer cleverness of his invention. And by publishing Nothing Like the Sun on April 23rd 1964, the official if uncertain anniversary of Shakespeare’s birth, Burgess gave himself a shared anniversary with the bard.